Besides the Revolt chair, one of the products for which industrial designer Friso Kramer has achieved international acclaim is the inverted-cone streetlamp he designed in the 1960s. In cooperation with the manufacturer, Lightwell, the lamp is now also available in a new, stylish LED version incorporating smart city technology. The plastic lamp cover, manufactured by Omefa, is 90% translucent but also allows for sufficient light diffusion. In addition, the cover has a high impact resistance. 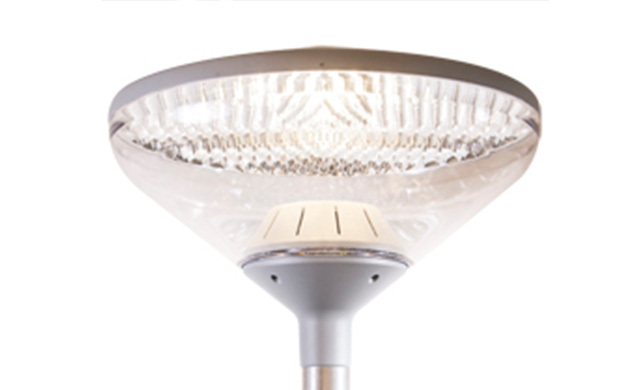 The Friso Kramer LED lamp produces very bright light but uses 50% less energy and has a lifespan of approximately 100,000 hours. No wonder this sustainable street lamp has been warmly welcomed by numerous city councils.